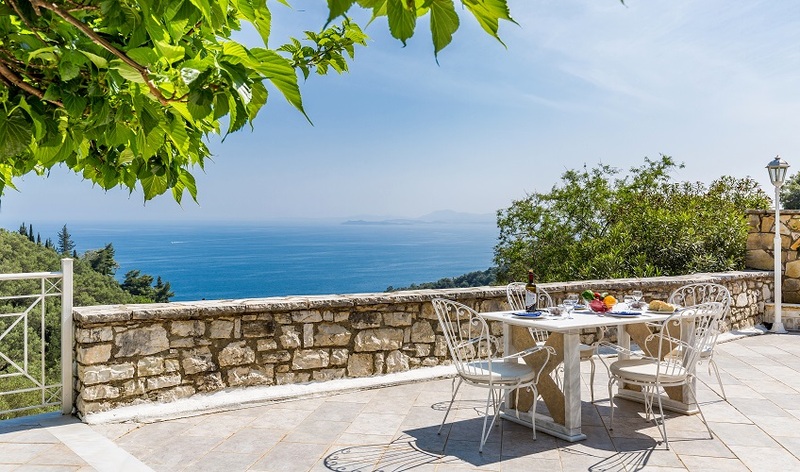 To explore every one of Corfu’s innumerable beaches would need a lifetime. 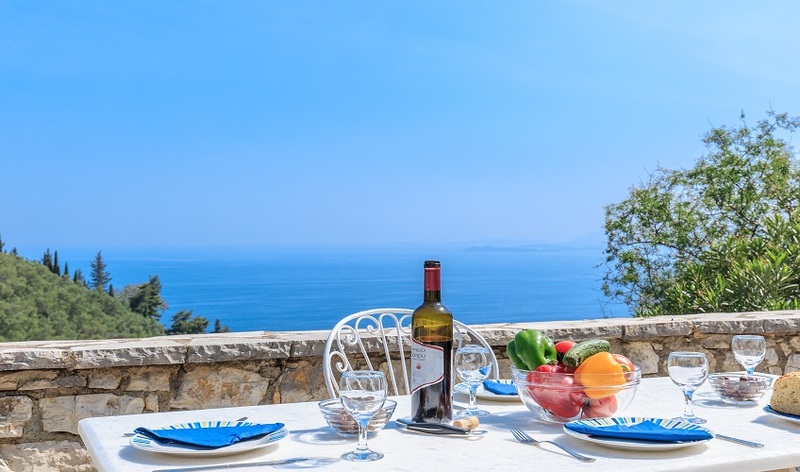 They range from wide open stretches of sand with all the latest resort amenities to tiny patch of shingle, hidden at the back of rocky coves, accessible only by boat, but perhaps the island’s best coastal features are to be found in the many smaller bays and inlets of the east coast. 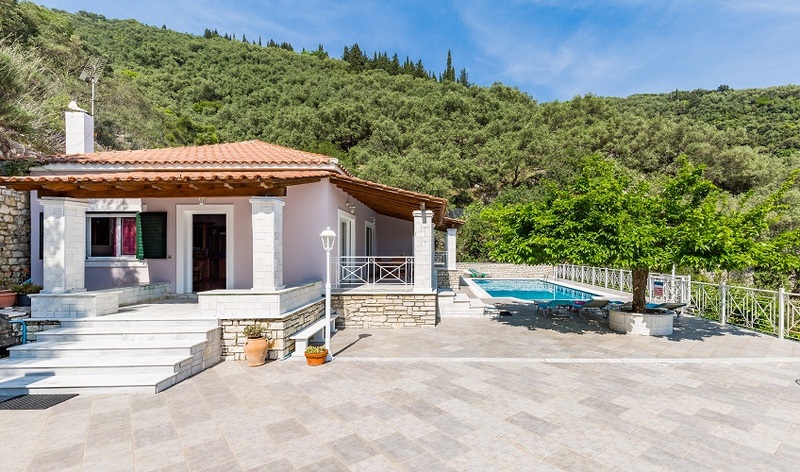 Many are quiet and uncrowded backed by a few houses and a couple of tavernas. 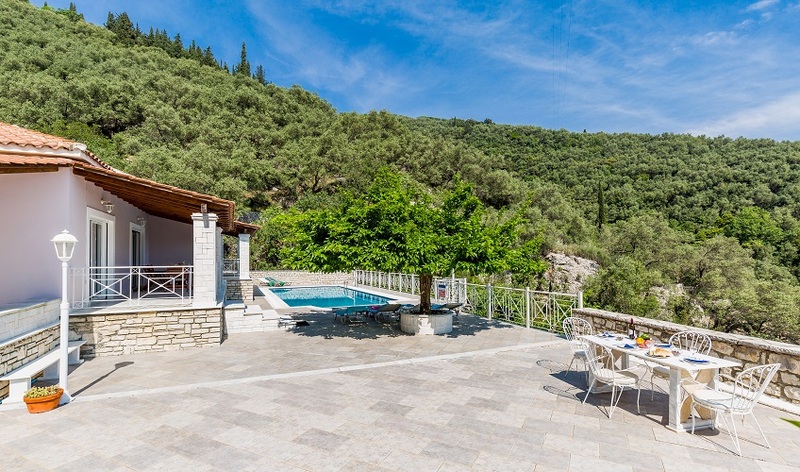 Kaminaki, a few hundred metres below the Villa Fantasia is just such a beach, but there are many more to be discovered. 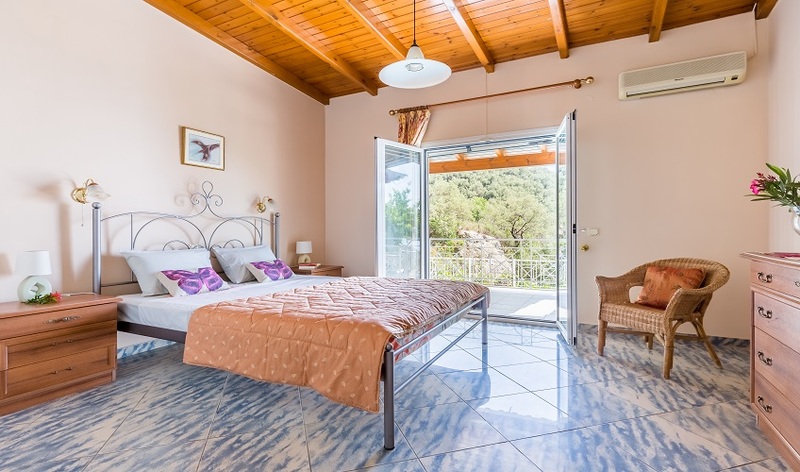 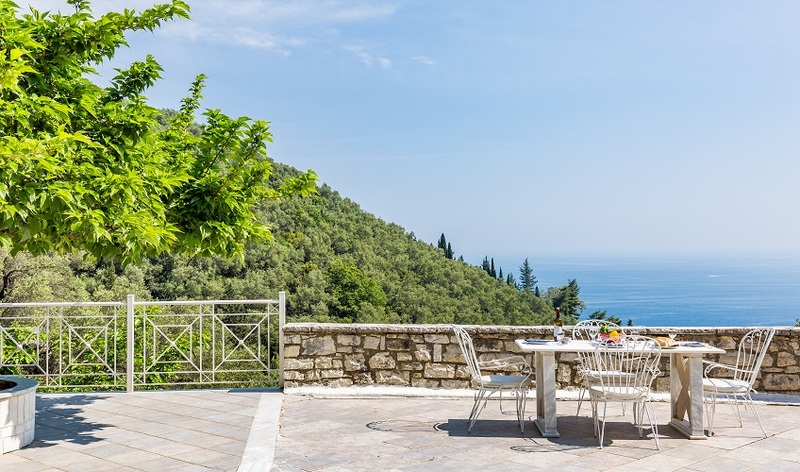 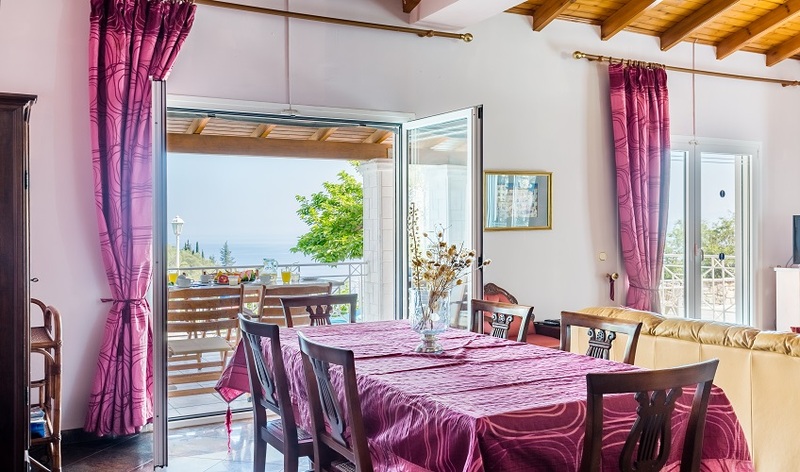 Built into the hillside, with olive orchards on each side, nothing obstructs the glorious view down to the sea framed by Corfu Town on its guardian headland to the south and the dramatic empty hills of Albania across the channel to the east. 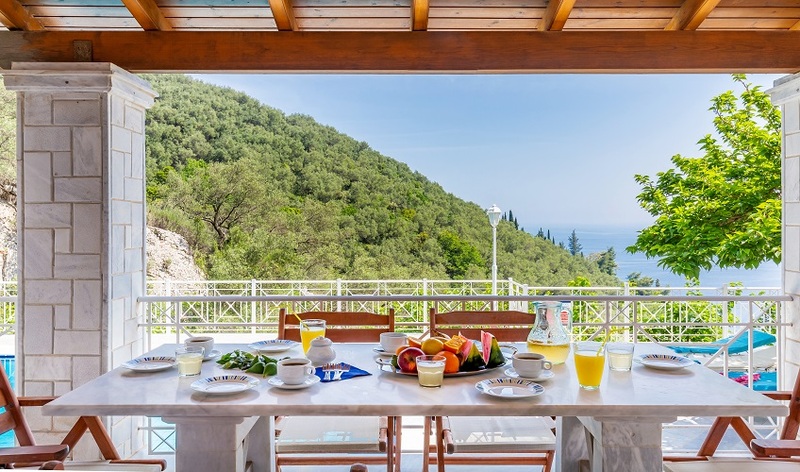 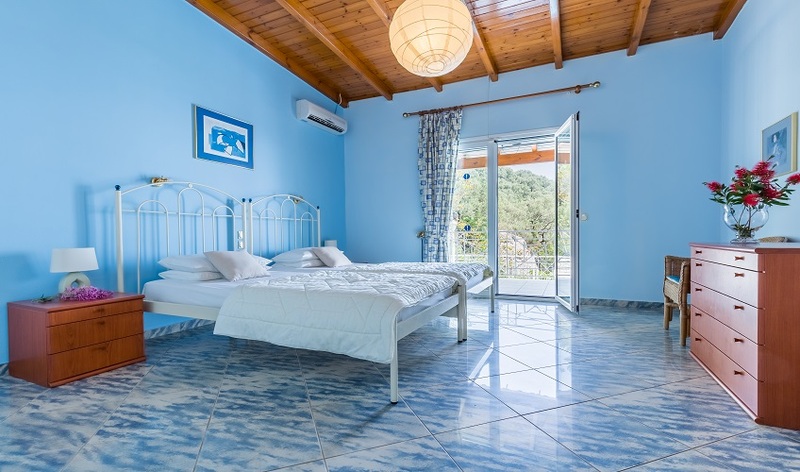 Although exploration on foot or by car of the coast and the wooded mountain slopes of Mt Pantokrator are attractive options, staying at home beside the pool with its shaded terrace, barbecue and pizza oven is equally inviting with perhaps a stroll down to Kaminaki Beach for a meal and drink at a taverna. 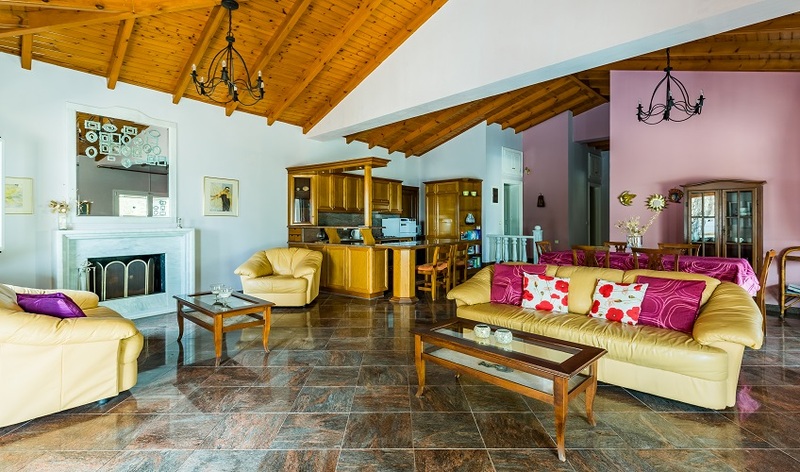 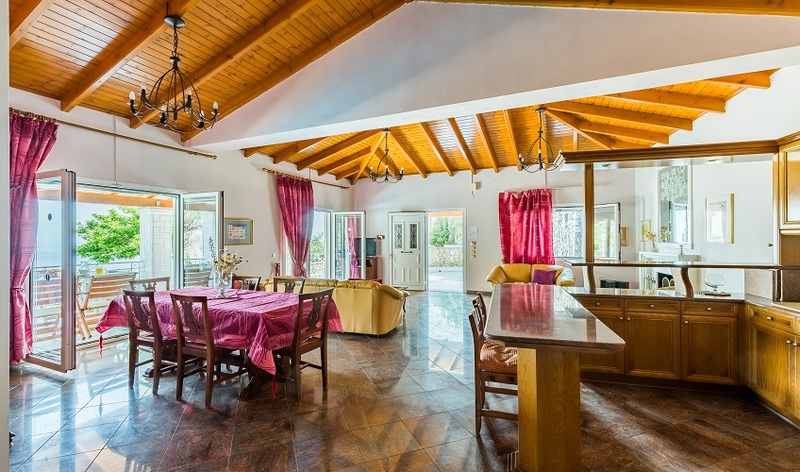 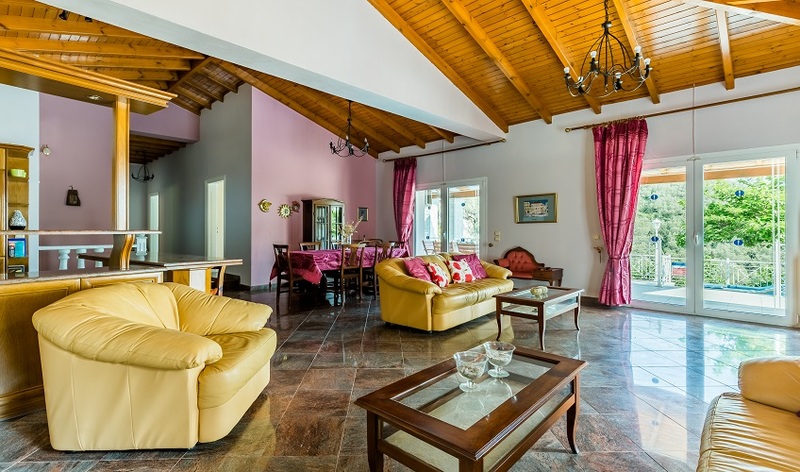 The villa is very well appointed with a spacious open plan lounge, fully fitted kitchen. 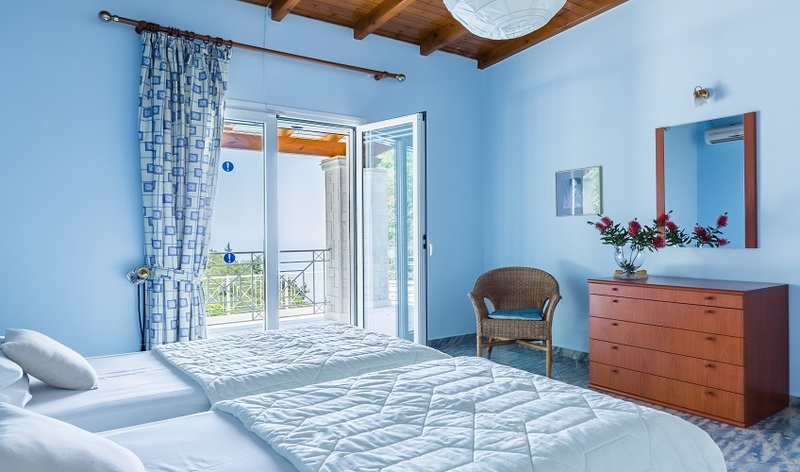 There is air conditioning in all three bedrooms, two twins and a double master bedroom with French windows opening onto the pool terrace. 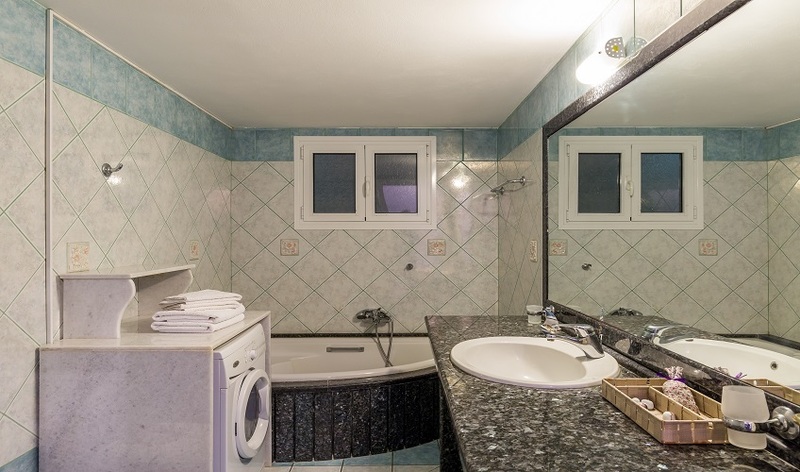 A bathroom and separate shower room complete the accommodation. 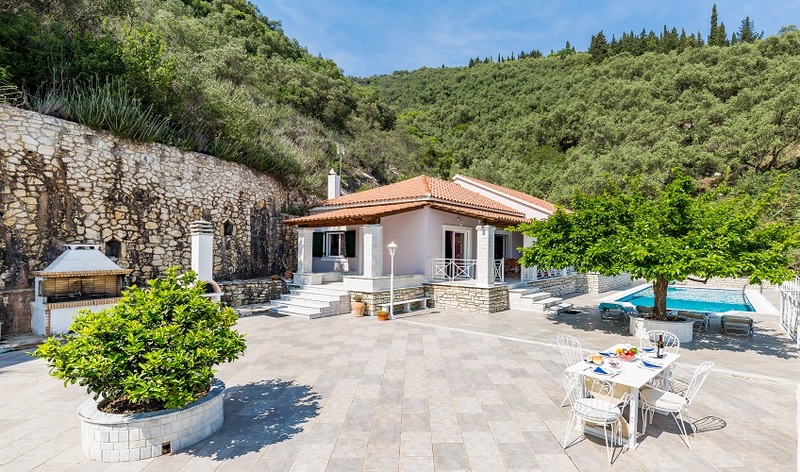 There is so much to discover in northwest Corfu and the Villa Fantasia is ideally situated at the very centre.